A comedian, with a left-wing agenda, who was responsible for 6 fabulous series of the Mark Thomas Comedy Product and carrying out 105 minor acts of dissent during his last tour, Mark still has plenty to share. His Northern Stage performance was to a sell out crowd, most of whom agreed with his views and activism. The show begins with a set of lighter amusing anecdotes covering a career which started with a gig for 5 people plus a promoter. At least he was offered a share of the door take – though he tried to refuse the £2.50. Mark entertained the audience with his friendly engaging style of delivery. He is one comic who doesn’t feel a need to work across the front row asking for names and occupations. Rather, he recalls tales of his dissent – such as buying remote controlled Barbie cars for his female friends and then getting them to drive them in front of the Saudi Embassy. His shows are always a learning experience for the crowd, for example, did you know it is illegal to imagine the end of the monarchy? Or a Domestic Extremist is someone whose activities are monitored by agencies such as the police? Mark is trying to get the word “Farage” defined as the fluid at the bottom of the bin. Clearly that’s one party he has no plans to vote for. The second half of the show is storytelling bordering on a one man play. He recalls his adventures that started in 2003 taunting arms dealers and manufacturers such as BAE systems. This includes some relevant details that he has used on past tours but they are wrapped up into a new context. The clever set has Mark flanked by 2 sets of filing cabinets and a large screen to the rear. This combination enables him to cut in clips of interviews with numerous eye witnesses to each incident which segue nicely without slowing the pace of the presentation. The only change of pace is induced by a couple of members of the audience which are dealt with nicely but firmly. The story reaches its conclusion with a final pertinent take home message. 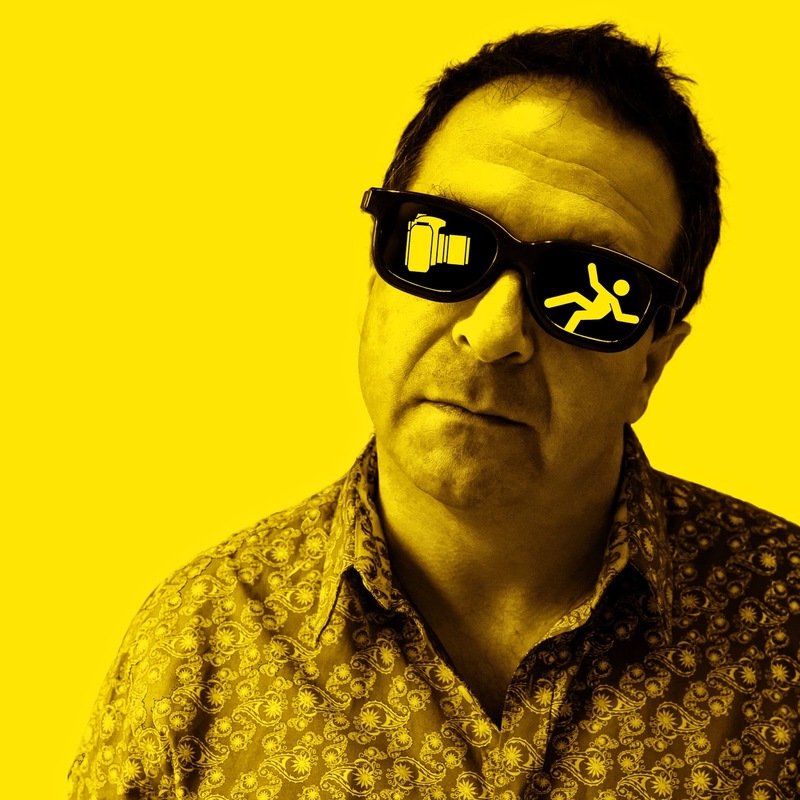 Mark Thomas stands out from other comics by his personal involvement in the tales he recalls. He may not be a big fan of bloggers but there is no denying everyone show see him at least once as it could be a life changing moment. Mark is one of the good guys.